This is not a post about me starting a new story based on pirates. A FB friend was kind enough to inform me last weekend that I, apparently, am being pirated. Someone was kind enough to post free downloads of my books. This gives me a somewhat mixed feeling. On the one hand, there’s the feeling that I’m successful enough that people want to make my stuff available to others. On the other hand, I’m not getting money for that. As I said, mixed feelings. Mostly, however, I just feel slightly amused. I mean, sure, I could see someone trying to save five dollars on the Fallen Race… but a dollar for each of the novellas? Seriously? You can’t even buy a quart of milk for a dollar. I won’t say I’m indifferent to the money, but in reality, I’m somewhat ambivalent about any potentially lost funds because, hey, folks are reading my stuff, whether they paid or not. I don’t support Digital Rights Management. I feel that ebooks should be available to lend, borrow, and so forth just like paper books. If someone likes what they read, then they might look for my other stuff. If they don’t, well, then they don’t. Not much I can do about that. I get this attitude from the publisher Baen, who have had their Free Library for over a decade. They also make available books from various authors for cash money. It is one reason which, as a reader, I love their stuff so much. It is also a pain because I’ve lost hours of productivity reading both from their free library, their CDs, and the various books available from their ebook site. Check it out, it’s worth the visit. The point is, whether someone bought my book or pirated it or downloaded it for free, they’re still increasing my ‘author’s footprint.’ And if they like my stuff, they might tell others, some of whom will, hopefully, buy a copy rather than downloading it for free. If not, well such is life. Would I rather have my readers buy my books and receive that money? Of course; I’m married with kid(s) on the way. Money is a good thing, it pays for necessities like food, shelter, and power so I can work on my computer. Still, I’ll take the fact that I do have readers as a net positive. Renegade: Origins and Renegades: A Murder of Crowes are Live! 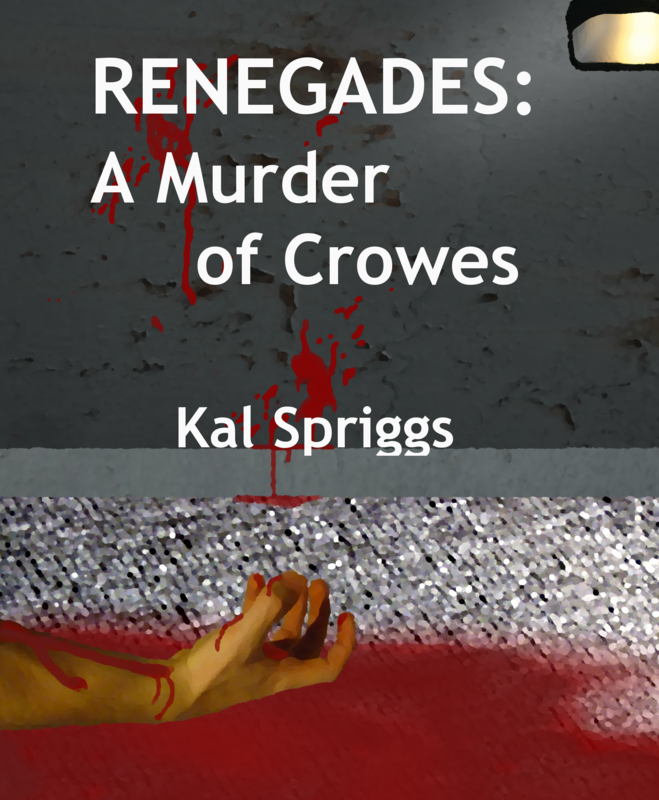 Both Renegades: Origins and Renegades: A Murder of Crowes are live. Among the rag-tag crew of outlaws and escapees, Simon has a unique background: he’s a cop. So when one of the crew winds up dead, naturally the others turn to him to find out the identity of the killer. It should be a quick investigation aboard the tiny ship with a small crew…. Except that in this case, everyone is a suspect. Simon has to wonder, not who is guilty, but who, on this ship, is really innocent? In times of chaos, there are those who fight for money, for power, or just to survive. In feudal Japan, they were Ronin. After the US Civil War, they were desperadoes or hired guns. In the chaotic times of the collapse of human civilization, they are men, women, and aliens without shelter or succor. When no one else will take a stand, they stand for themselves. They are deserters, murderers, pirates, and worse… they are the Renegades. As with my other books, I’ll be doing a book bomb to boost sales visibility. As a note, however, if you are interested, I encourage you to buy it at noon Central US time on 19 April. Why is that? Because Amazon tracks sales over time, and higher ranked sales means more visibility. More visibility means reaching more readers which is cool from a reader’s perspective because there are more people they can discuss a book or author with and is cool from an author’s perspective because that’s more money with which said author can buy things like food and other necessities of survival. So, pencil in 19 April!